To Control or Not to Control? It’s a Difficult Question. The Invasive Plant Management Decision Analysis Tool (IPMDAT) helps natural resource managers to determine if an invasive plant control project is likely to be successful and if it warrants an investment of their agency’s or organizations resources. The invasive species must cause serious environmental or economic harm or harm to human health. The project should be feasible. The project should give a good return on the investment of resources. In practice, it is often difficult to decide if all these criteria are met. The IPMDAT helps guide the decision to control or not to control. Using this tool makes decisions on invasive plant control more transparent, understandable, and fully documented and ensures that resources will be used effectively. Is the project feasible and have a good return on the investment? The IPMDAT is comprised of four steps and takes approximately two hours to complete. The first step is entering in project background information, include project goals and objectives. Secondly, the user determines if the impact or harm caused by an invasive plant warrants control and selects appropriate control strategy based on the plant’s abundance and distribution. 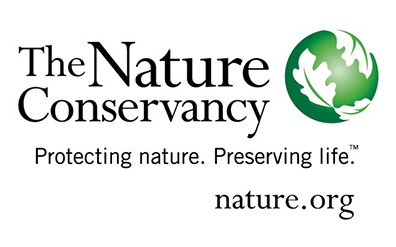 Eradication – goal is to eliminate all individuals and the seed bank from an area with the low likelihood of needing to address the species again for the next 10 years. Containment – a project which aims to prevent infestations of invasive species from spreading to uninfested areas. Suppression – goal of project is to reduce an invasive plant population in size, abundance, and/or reproductive output below the threshold needed to maintain a species or ecological process. Third, the user determines whether the project is feasible given the socio-political environment, biological attributes of the plant, effectiveness of control methods, risk of non-target impacts and unintended consequences. The final step is completing a financial analysis and assessing the return on investment. The completion of the IPMDAT results in one of four possible outcomes. Proceed with control (project has value and a high probability of success). Stop – secure sustainable funding before proceeding. Stop – control not feasible and/or not warranted. Peer-review required – feasibility and/or return on investment are uncertain. used to determine the appropriate strategy. Is there an effective control method available to meet the project goal? When the IPMDAT is completed, a report is produced summarizing the results and answers to each of the questions in the tool. The summary report can be saved as a Microsoft XPS file or Adobe PDF. This report can be easily shared with senior managers and other natural resource managers. In addition, IPMDAT records for which the creator has granted permission to share the data will be stored in iMapInvasives. 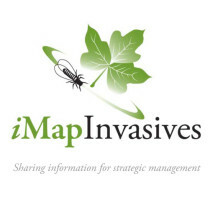 iMapInvasives users in participating states/provinces will be able to view and query stored IPMDAT records.